The Ghaziabad unit established in 1981, spans a total area of 20488.29 sq. mtrs and a covered area of 8725 sq. mtrs. (GF) and 6171 sq. mtrs. (FF) respectively. 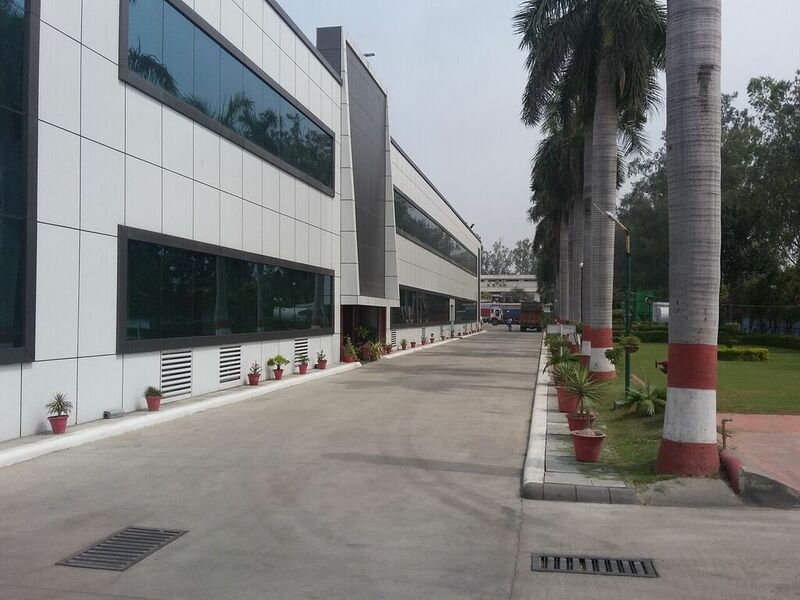 We have aseptic manufacturing facilities with environmental controls pertaining to international standards with Class 100 and Class 10000 areas. Soft gelatin capsules, with nutritional products of Vitamins and Haematinics are manufactured in a separate area. Opthalmic products like Sioflur, Sioplex, Siogat, Siomox, Siotears etc. The company introduced intravenous fluid section inn glass bottles and polythene containers from 1981 and 1985 onwards. For the first time in India in 1985, intravenous fluids in polyethylene container were introduced with Rommelag bottle pack machine model BP 302. Ciprofloxacin I.V., Levoflocacin I.V, Fluconazole I.V. In our SVP plant we produce Water for Injection from multi column distillation units supplied by M/s Pharmalab, India and Stilmas, Italy.